Wow! What a nice collection of short stories. This is a mixed bag of entertainment; some are dark, some are creepy, and others downright chilling! Over the past couple of years I have watched as Wesley has grown in his telling of tales. His stories have taken a more sinister turn and you, reader of horror, benefit greatly from this. Think “Goosebumps” on steroids. Oh, and don’t let the deceptive prose fool you; the words may at times sound sweet but that’s just to mask the arsenic! You may have read one or two of these tales in a past publication, but don’t let that deter you, the rest are all new. 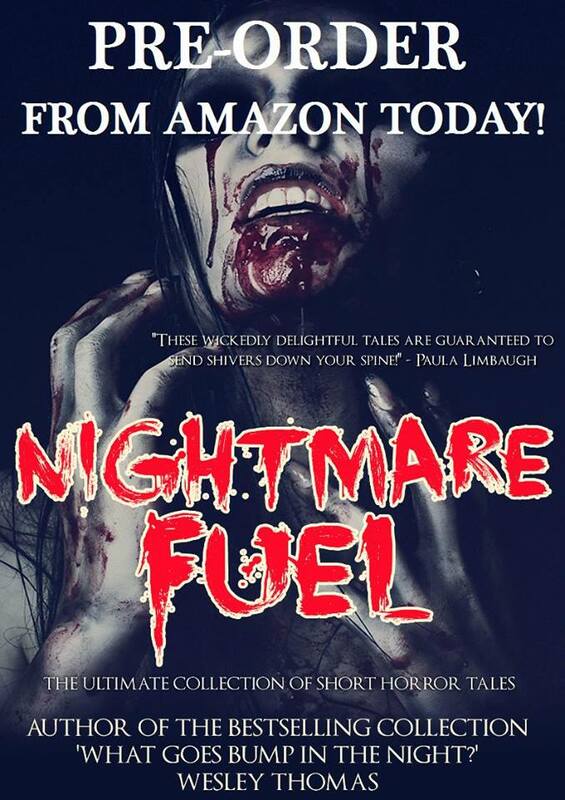 You will meet vampires, zombies, ghosts and just evil itself, within these tales. Be warned, not all will survive. So, be wary of that scarecrow in the farmer’s field, don’t be deceived in thinking that old church offers sanctuary, and forget about home sweet home; you can find the malevolent lurking anywhere. All in all a fun read. These wickedly delightful tales are guaranteed to send shivers down your spine! You can order your copy here. And do visit his website http://wesleythomashorrorauthor.weebly.com/, where you can sign up for freebies!